It is hard to take precaution against events that are difficult or impossible to predict. That holds for all kinds of "systemic shocks" which include earthquakes, economic crises, climate-related events, and more. Italy may be an especially vulnerable place for earthquakes. It is a country located in a highly seismic zone where a large number of buildings have been erected just by piling up bricks, without worrying too much about safety. The results can be seen in the earthquake of a few days ago and in several other earthquakes of the past decades. (see the image above, source). 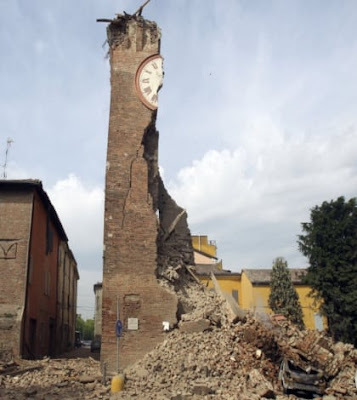 But, if Italy is a bad place in terms of precautions against seismic events, it is normal that everywhere large earthquakes strike, the damage is enormous. Even Japan, although a country that places a lot of attention on earthquake safety, was badly hit by the 2011 tsunami and by the 1995 earthquake near Kobe. The discussion about the recent earthquake in Italy raised up some comments on my Italian blog, one of which I found especially silly. Summarizing it, it said, "If earthquakes cannot be predicted, how can you pretend to predict climate change? We should just wait and see." I think that the logic of this comment doesn't need to be deconstructed but, at least it is further evidence that human beings are not rational creatures. Nevertheless, it raises an issue worth discussing about the predictability of climate change. Much of the debate on climate turns around the often raised objection against the need of doing something that says, "if you can't predict exactly what's going to happen, then we should just sit and watch". Obviously, nobody would even dream to raise such an objection against reinforcing buildings against earthquakes, although in practice the idea is often resisted. Nor, anyone would maintain that you shouldn't wear seat belts in your car because you can't predict exactly when an accident will occur. So, why is the debate on climate change so special? In one sense, it is the sheer vastness of the problem. While you can always think that the next earthquake will strike somewhere else, there is no escape from climate change: it affects the whole planet and that surely makes people tend to react by disregarding even the most elementary rules of logic. In another sense, it I think that the problem is in the very concept of "predictions". Geologists know a lot about earthquakes. but they have wisely abstained from trying to make predictions about them. Climatologists, instead, have made a big effort to develop predictive tools and they keep publishing diagrams telling us what temperatures we should expect for 2050 or 2100. That has led to a heated debate about the validity of the models which, as all models, can only be approximated (the map is not the territory). Don't make me say that there is anything wrong in climate models. They are sophisticated, physics-based tools, perfectly valid within the assumptions that they make. There is, however, a problem. Climate change and seismic phenomena are, at the most basic level, similar in the sense that they are both about the accumulation of energy in a reservoir. Geological faults cause the accumulation of elastic energy in the earth's crust. Greenhouse gases cause the accumulation of thermal energy in the atmosphere and in the oceans. Now, it is known that the release of elastic energy in the crust is not a linear phenomenon and that, as a consequence, it generates sudden and catastrophic events. How about the release of thermal energy in the atmosphere/hydrosphere system? Mostly, we tend to think that it is a linear phenomenon: higher concentration of greenhouse gases in the atmosphere cause rising temperatures and, indirectly, rising sea levels. But, unfortunately, that's not the whole story and it cannot be. Complex systems tend to react to forcings in strongly non-linear ways, something that I termed the "Seneca Effect". And the rising temperatures may create plenty of sudden catastrophes when linked with the other elements of the ecosphere and also of the human econosphere. Just think of the effect of a sudden increase in the sea levels on the world's economy, largely based on marine transportation. And think about the effects on agriculture: much of the recent turmoil in North Africa and the Middle East may be seen as a non-linear reaction to rising temperatures and droughts. But the most worrisome sudden transition related to greenhouse warming is known as the "runaway greenhouse" or the "Venus catastrophe." It is the planetary equivalent of a major earthquake; something like what happened to the city of Amatrice, in Italy, completely razed down a few days ago. Of course, we may say that such a transition is "sudden" only in terms of a different time scale in comparison to earthquakes, but it may still be rapid enough to cause gigantic damage. We don't know for sure if such a catastrophe can occur on the Earth but, according to some recent studies, it seems to be possible. And make no mistake: a runaway greenhouse effect is not just a hotter earth, it involves the extinction of the biosphere. In the end, the main problem of this whole story is that we don't know how to convince people about the risks related to non-linear phenomena, earthquakes, climate change and the like. Should we emphasize the risk? That has the unwanted effect that people tend to run away plugging their ears and singing "la-la-la." Or should we sweeten the pill and tell them that there is nothing to be really worried about; just a few minor adjustments and everything will be fine. That has the effect that nobody is doing anything, surely not enough. Will we ever find the right strategy? This is a reprint (with some minor modifications) of a post that appeared in "The Oil Drum" in 2009. It seemed to me worth reproposing it in view of my recent article on the long-term perspectives of photovoltaic energy. Note how, in 2009, I stated that "Moore's law shows no signs of abating". After seven years, that is not true anymore! The figure above, from Robert Anson Heinlein's "Pandora's Box" (1952), is perhaps the first graphical representation of the concept that technology is not only progressing but progressing at an exponentially growing rate. Today, this concept goes sometimes under the name of the "technological spike" or the "technological singularity". However, we see also increasing concerns about peak oil and, more in general, about "peak civilization". Will the future be a spike or a peak? The 1950s and 1960s were perhaps the most optimistic decades in the history of humankind. Nuclear power was soon to provide us with energy "too cheap to meter", space travel promised weekends on the moon for the whole family, and flying cars were supposed to be the future of commuting. At that time, Robert Anson Heinlein, science fiction writer, may have been the first to propose that technology was not only progressing but progressing at exponentially growing rates. In his article "Pandora's box" (Heinlein 1952), he showed the figure shown at the beginning of this text. Curve 4, with "progress" going up as an exponential function of time, is the trend that Heinlein enthusiastically proposed. The same concept has been proposed several times after Heinlein. Robert Solow (1956) interpreted as technological progress an exponentially growing "residual" in his models of economic growth. The concept of "intelligence explosion" has been introduced by I.J. Good in 1965, that of "technological singularity" by Vernor Vinge was published in 1993, although it was expressed for the first in his novel "Marooned in real time" (serialized in Analog magazine, May-August 1986). The concept of "technological spike" was introduced for the first time by Damien Broderick in 1997 and that of "Accelerating change" by Ray Kurtzveil in 2003. In all cases, the growth of technological progress is seen as literally "spiking out" to levels that the human mind cannot understand any longer. Sometimes the term "technological singularity" is used to describe this event. The people who tend towards this view are sometimes called "extropians" or "transhumanists" and they are highly optimistic about the capability of technology to solve all of our problems. However, over the years, we seem to have been gradually losing the faith in technology that was common in the 1950s. We are increasingly worried about resource depletion and global warming. Both factors could make it impossible to keep the industrial society functioning and could lead to its collapse. These ideas originated, too, in the 1950s when Marion King Hubbert (1956) first proposed the concept of a production peak for crude oil, later called "peak oil". The idea that resource depletion was a critical factor in the world's economy has been proposed many times, for instance with the series of studies that go under the name of "The Limits to Growth," which saw the light for the first time in 1972. Today, Hubbert's ideas are the basis of what we call the "peak oil movement". The concept is often extrapolated to "peak resources" and to "peak civilization", that could also be the result of the effects of anthropogenic global warming. The people who follow this line of thought tend to be skeptical about the capability of technology to solve these problems. So, what will be the future, the spike or the peak? Will the peak destroy civilization, or will the spike take it to heights never experienced before? A first crucial question on this point is whether progress is really moving at exponentially growing rates. The answer seems to be no, at least if we consider technology as a whole. In most fields, we are stuck to technologies developed decades, or even centuries, ago. The performance of motor cars, for instance, is not improving exponentially, otherwise we'd expect cars to double mileage and to halve prices every so often. This is a qualitative observation that we can make by ourselves, but there have been studies that have examined such indicators of progress as the number of patents published every year (Huebner 2005). The result is that the rate of technological innovation is not increasing and that it may be actually slowing down. As discussed, for instance, by Ayres (2003) there is no factual ground for Solow's 1956 assumption that the growth of the economy is mainly generated by "progress." Yet, there is at least one field of technology where progress is, indeed, exponentially growing. It is information technology (IT). The growth of IT can be quantified in various ways. Moore's law is well known: it says that the number of transistors (or gates) on a single chip grows exponentially. The law has been verified for several decades and the doubling time of 24 months doesn't show signs of abating. Perhaps less known is the explosive growth of information stored in electronic form. A study by the International Data Group (IDC 2008) shows that the number of bits stored increases by a factor of ten every five years. At present, we have a total of approximately 280 exabytes (billions of gigabytes) stored. It corresponds to about 45 Gigabytes per person on the planet. Then, the amount of information being transmitted over the internet is also rising at an exponential rate. According to Morgan Stanley (2008), we are transmitting more than 12 million terabytes per month. We have no quantitative data for how fast exactly the general concept of "Information Technology" is growing, but from the growth of its many subsections we can say that it is accelerating. Surely, progress in IT needs plenty of resources and a functioning economy and both conditions could be at risk in the future. But the demise of civilization is likely to be a slow and complex affair; something that could span most of the 21st century or, at least, the first half of it. Can we keep progress in IT alive and well for that long? Probably yes or, at least, it should be possible to allocate enough energy to keep computers running. From the IDC study that I cited before, it turns out that we spend about 30 billion dollars per year in energy used by computers and about 55 billion dollars in energy costs for new servers. This estimate doesn't take into account all the energy used in data processing, but it gives us an order of magnitude for the core energy costs of the computing world. Considering that the world oil market alone is a few trillion dollars per year (depending on the vagaries of oil prices), we see that we need probably no more than a few percent the world's energy production for our computers. It is not a negligible amount, but it seems very unlikely that, facing an energy shortage, we would cut on the vital need we have for IT. Nobody should bet on the survival of SUVs in the coming years, but computers will keep working and Moore's law could stay alive and well for years, at least; perhaps decades. The growing performance of information technology is going to change many things in the world. Eventually, it may lead to levels of "artificial intelligence" (AI) equal or superior to human intelligence. At some point, AI could reach a point where it is able to improve itself and that would take it to superhuman, even God-like, levels. Such superior intelligence is sometimes described as a sort of technological Santa Claus bringing to humans an avalanche of gadgetry that buries forever all depletion problems. Here, however, we risk making the same mistake that Heinlein made in 1950 in his "Pandora's box". At the time, space travel was seen as the main thing going on and Heinlein confused needs for possibilities predicting anti-gravity devices and the colonization of planets arriving by the year 2000. This kind of mistake is similar to what Yudkowsky (2007) calls "the giant cheesecake fallacy". That is, if you are making a cheesecake, you'll think that a better technology will help you make a bigger cheesecake. 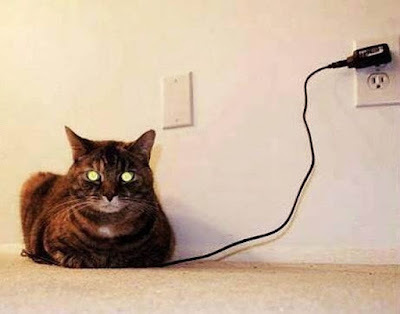 In the present situation, our main problem seems to be energy and the cheesecake fallacy leads us into believing that we'll soon develop (or that AI will develop for us) a source of abundant and low-cost energy just because we need it. But even super-intelligent computers have to deal with the physical world. Maybe there are ways to create the perfect energy source: safe, low-cost, abundant and usable by humans for the sake of humans. But we don't know whether that is possible within the physical laws of our universe. Besides, is a limitless energy source going to stave off collapse forever? This question has already been asked in the first edition of "the Limits to Growth" of 1972, and the results confirmed in later editions. The simulations show that if you develop a technology that solves the energy problem, population keeps increasing, and collapse is generated by the lack of food and by pollution. So, you'd need more technological breakthroughs: ways of fighting pollution and of producing more food. But, in the long run, how would you cope with the forever increasing population? Well, new breakthroughs to send people to colonize the solar system and, eventually, the whole galaxy. All that is not physically impossible, but it is an ever growing, super-giant cheesecake. Is that what we really need? In the end, our problem with vanishing resources is not that we don't have enough gadgetry. We have a problem of management. We tend to exploit resources well above their capability to reform, that is beyond sustainability. In addition, we can't control the growth of population. This is what we call "overshoot" and it leads, in the end, to a collapse that has often be catastrophic in the history of humankind. Humans have a short range vision that brings them to discount the future at a very steep rate (Hagens 2007). It is a result of our evolutionary history: we are excellent hunters and gatherers but very poor planet managers. So, the real question is whether advanced IT (or AI) can help us to manage better the resources we have. And, here, the answer seems to be negative, at least for the time being. There is no doubt that IT is helping us to be more efficient but, as James Kunstler said in his "The Long Emergency," efficiency is the straightest path to hell. Being more efficient is a way to exploit resources faster, and that may well accelerate the collapse of civilization. Just think of a simple gadget as an example: a car navigator. When you are using it you are, in effect, taking orders from a computer that is smarter than you at the specific task of navigating in the streets. The navigator will make it faster and easier for you to travel by car from point "A" to point "B", but will have no say on whether it is a good idea to go from A to B. Besides, if you can save some gasoline in going from A to B by an optimized route, you may decide to use it to go further on, to point C. So, the greater efficiency resulting from the use of the navigator will produce no energy saving. This is just an example of that is called the "Jevons effect" or the "Rebound effect" which often thwarts all effort to improve things by saving energy or being more efficient. Yet, it would not be impossible to use IT in order to fight over-exploitation, and we don't need super-human AI for that. IT can tell us where we are going and act as a "world navigator" for us; telling us how we can go from here to there, supposing that "there" is a good kind of world. The first digital computers were already used in the 1960s to simulate the whole world system (Forrester 1971). In 1972, the authors of "The Limits to Growth" used their simulations to propose ways to avoid overexploitation and keep the world's economic system on a sustainable path. These simulations could be used as a guide for steering the world's economic system in the right direction and avoid collapse. But, as we all know, policy makers and opinion leaders alike refused to take these studies seriously (the story of how "the limits to growth" book was rejected and demonized is told in my post "Cassandra's curse," Bardi 2008). So, we are still racing toward collapse; IT is just helping us to run faster in that direction. There remains the hope that growing IT capabilities will make a difference in qualitative terms; that AI will become so powerful that it will save us from ourselves. Several years after his "Pandora's box" article, Heinlein published a novel titled "The Moon is a Harsh Mistress" (1966) where he described the birth of a human-like computer that helped a group of lunar revolutionaries to take over the local government and, eventually, became the hidden and benevolent ruler of the Lunar colony. But that, just as many predictions, might be another case of the Giant Cheesecake Fallacy: the fact that we need a technology will not necessarily make it appear and - more than that - it may not work the way we think it should. A God-like AI might not be necessarily compassionate and merciful. In the end, both the spike and the peak are strongly non-linear phenomena, and we know that non-linear phenomena are the most difficult to predict and understand. The only thing that we can say for sure about the future is that it will be interesting. We can only hope that this will not have to be intended in the sense of the old Chinese malediction. The Author wishes to thank Mr. Damien Broderick for pointing out some missing references in an initial version of this text. Broderick, Damien, 1997 "The Spike", Reed ed. Forrester, J.W., 1971 "World Dynamics". Wright-Allen Press. Good, I. J., 1965. "Speculations Concerning the First Ultraintelligent Machine." Advances in Computers, Vol. 6. Heinlein, R.A., 1952. "Pandora's box" The article was published in the February 1952 issue of Galaxy magazine (pp. 13-22) (thanks to Damien Broderick for this information). It doesn't seem to be available on the internet but a detailed review and comments on its predictions can be found at: www.xibalba.demon.co.uk/jbr/heinlein.html. The figure at the beginning of this paper is taken from the Italian translation of the 1966 update of the paper that was published in the "Galassia" magazine. "Life is nothing but an electron looking for a place to rest," is a sentence attributed to Albert Szent-Györgyi. It is true: the basis of organic life as we know it is the result of the energy flow generated by photosynthesis. Sunlight promotes an electron to a high energy state in the molecule of chlorophyll. Then, the excited electron comes to rest when a CO2 molecule reacts with hydrogen stripped away from an H2O molecule in order to form the organic molecules that are the basis of biological organisms. That includes replacing degraded chlorophyll molecules and the chloroplasts that contain them with new ones. The cycle is called "metabolism" and it has been going on for billions of years on the earth's surface. It will keep going as long as there is sunlight to power it and there are nutrients that can be extracted from the environment. But, if life means using light to excite an electron to a higher energy state, there follows that chlorophyll is not the only entity that can do that. In the figure at the beginning of this post, you see the solid state equivalent of a chlorophyll molecule: a silicon-based photovoltaic cell. It promotes an electron to a higher energy state; then this electron finds rest after having dissipated its potential by means of chemical reactions or physical processes. That includes using the potentials generated to manufacturing new photovoltaic cells and the related structures to replace the degraded ones. In analogy with the biological metabolism, we could call this process "solid state metabolism". Then, the similarities between the carbon-based metabolic chain and the silicon-based one are many. So much that we could coin the term "stereosphere" (from the Greek term meaning "solid.") as the solid-state equivalent of the well known "biosphere". Both the biosphere and the stereosphere use solar light as the energy potential necessary to keep the metabolic cycle going and they build-up metabolic structures using nutrients taken from the earth's surface environment. The main nutrient for the biosphere is CO2, taken from the atmosphere, while the stereosphere consumes SiO2, taking it from the geosphere. Both metabolic chains use a variety of other nutrients: the stereosphere can reduce the oxides of metals such as aluminum, iron, and titanium, and use them as structural or functional elements in their metallic form; whereas the biosphere can only use carbon polymers. The biosphere stores information mostly in specialized carbon-based molecules called deoxyribonucleic acids (DNA). The stereosphere stores it mostly in silicon-based components called "transistors". 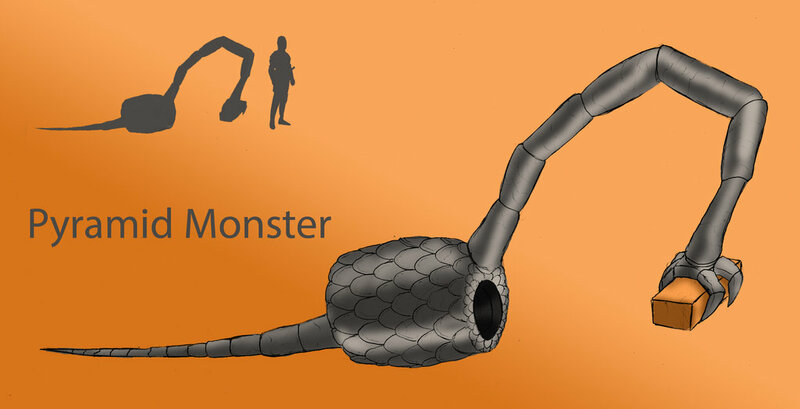 Mechanical enactors are called "muscles" in the biosphere and are based on protein filaments that contract as a consequence of changing chemical potentials. The equivalent mechanical elements in the stereosphere are called "motors" and are based on the effects of magnetic fields on metallic elements. For each element of one of these systems, it is possible to find a functional equivalent of the other, even though their composition and mechanisms of operation are normally completely different. A major difference in the two systems is that the biosphere is based on microscopic self-reproducing cells. The stereosphere, instead, has no recognizable cells and the smallest self-reproducing unit is something that could be defined as the "self-reproducing solar plant factory." A factory that can build not only solar plants but also new solar plant factories. Obviously, such an entity includes a variety of subsystems for mining, refining, transporting, processing, assembling, etc. and it has to be very large. Today, all these elements are embedded in the system called the "industrial system." (also definable as the "technosphere"). This system is powered, at present, mainly by fossil fuels but, in the future, it would be transformed into something fully powered by the dissipation of solar energy potentials. This is possible as long as the flow of energy generated by the system is as large or larger than the energy necessary to power the metabolic cycle. This requirement appears to be amply fulfilled by current photovoltaic technologies (and other renewable ones). A crucial question for all metabolic processes is whether the supply of nutrients (i.e. minerals) can be maintained for a long time. About the biosphere, evidently, that's the case: the geological cycles that reform the necessary nutrients are part of the concept of "Gaia", the homeostatic system that has kept the biosphere alive for nearly four billion years. About the stereosphere, most of the necessary nutrients are abundant in the earth's crust (silicon and aluminum being the main ones) and easily recoverable and recyclable if sufficient energy is available. Of course, the stereosphere will also need other metals, several of which are rare in the earth's crust, but the same requirement has not prevented the biosphere from persisting for billions of years. The geosphere can recycle chemical elements by natural processes, provided that they are not consumed at an excessively fast rate. This is an obviously complex issue and we cannot exclude that the cost of recovering some rare element will turn out to be a fundamental obstacle to the diffusion of the stereosphere. At the same time, however, there is no evidence that this will be the case. So, can the stereosphere expand on the earth's surface and become a large and long-lasting metabolic cycle? In principle, yes, but we should take into account a major obstacle that could prevent this evolution to occur. It is the "Allee effect" well known for the biosphere and that, by similarity, should be valid for the stereosphere as well. The idea of the Allee effect is that there exists a minimum size for a biological population that allows it to be stable and recover from perturbations. Too few individuals may not have sufficient resources and reciprocal interactions to avoid extinction after a collapse. 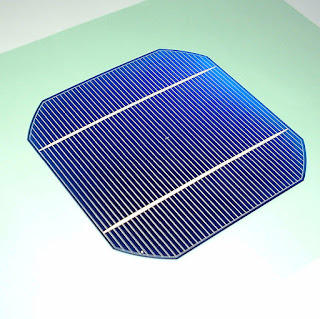 In the case of the stereosphere, the Allee effect means that there is a minimum size for the self-reproducing solar plant factory that will allow it to be self-sustaining and long-lasting. Have we reached the "tipping point" leading to this condition? At present, it is impossible to say, but we cannot exclude that it has been reached or that it will be reached before the depletion of fossil fuels will bring the collapse of the current industrial system. The next question is whether a self-sustaining stereosphere can coexist with the organic biosphere. According to Gause's law, well known in biology, two different species cannot coexist in the same ecological niche; normally one of the two must go extinct or be marginalized. Solid state and photosynthetic systems are in competition with each other for solar light. There follows that the stereosphere could replace the biosphere if the efficiency of solid state transduction systems were to turn out higher than that of photosynthetic systems. But this is not obvious. PV cells today appear to be more efficient than photosynthetic plants in terms of the fraction of solar energy processed but we need to consider the whole life cycle of the systems and, at present, a reliable assessment is difficult. We should take into account, anyway, that solid state creatures don't need liquid water, don't need oxygen, are not limited to local nutrients, and can exist in a much wider range of temperatures than biological ones. It means that the stereosphere can expand to areas forbidden to the biosphere: dry deserts, mountaintops, polar deserts, and more. Silicon based creatures are also scarcely affected by ionizing radiation, so they can survive in space without problems. These considerations suggest that the stereosphere may occupy areas and volumes where it is not in direct competition with the biosphere. The characteristics of the stereosphere also allow it the capability of surviving catastrophes that may deeply damage the biosphere and that will eventually cause its extinction. For instance, the stereosphere could survive an abrupt climate change (although not a "Venus Catastrophe" of the kind reported by James Hansen). Over the long run, in any case, the earth's biosphere is destined to be sterilized by the increasing intensity of the solar irradiation over times of the order of a billion years. (and smaller for multicellular organisms). The stereosphere would not be affected by this effect and could continue existing for the five billion of years in which the sun will remain in the main sequence. Possibly, it could persist for much longer, even after the complex transformations that would lead the sun to become a white dwarf. A white dwarf could, actually power PV systems perhaps for a trillion years! 1. I am not discussing here whether the possible emergence of the stereosphere is a good or a bad thing from the viewpoint of humankind. It could give us billions of years of prosperity or lead us to rapid extinction. It seems unlikely, anyway, that humans will choose whether they want to have it or not on the basis of rational arguments while they still have the power to decide something on the matter. 2. The concept of a terrestrial metabolic system called the stereosphere is not equivalent, and probably not even similar, to the idea of the "technological singularity" which supposes a very fast increase of artificial intelligence. The "self-reproducing solar plant factory" needs not be more intelligent than a bacterium; it just needs to store a blueprint of itself and instructions about replication. Intelligence is not necessarily useful for survival, as humans may well discover to their chagrin in the near future. 3. About the possibility of a photovoltaic-powered Dyson sphere around a white dwarf, see this article by Ibrahim Semiz and Salim O˘gur. 4. The idea of "silicon-based life" was popularized perhaps for the first time by Stanley Weinbaum who proposed his "Pyramid Monster" in his short story "A Martian Odissey" published in 1933. Weinbaum's clumsy monster could not exist in the real universe, but it was a remarkable insight, nevertheless. But, of course, it is all a conspiracy of the PTB! 7.Beyond the fact that Guaranteed Performance could not be achieved in the required time period, Leonardo and Rossi knew that the Plant could not produce a COP of 10.0 or greater (or even a COP or 4.0 or greater) for 350 out of 400 days. As a result, Leonardo and Rossi manipulated the testing process by, among other things, 1) insisting that the Plant be relocated to Miami, far away from Industrial Heat’s offices, to provide steam to a purported manufacturing “customer” that did not actually exist; 2) manipulating, along with Fabiani, the operation of the Plant and the reports of the Plant’s purported operations, to make it appear that the Plant was producing a COP far greater than 10.0; and 3) enlisting Penon to produce a false report stating that Guaranteed Performance was achieved. 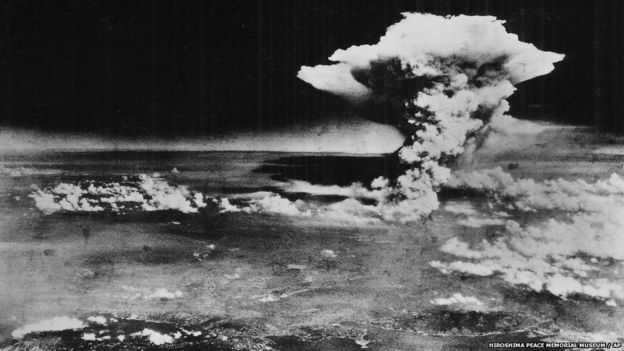 The Hiroshima bombing: a distant mirror? The 71st anniversary of the nuclear bombing of Hiroshima is the occasion for a reflection on what's going on in the world today. There has to be a reason why Hiroshima and Nagasaki were obliterated by nuclear bombs in 1945, just as there has to be a reason why, today, we are seeing the world again on the brink of war. What is this reason? What had led the nations of the world, some 80 years ago, to jump at each other in a collective frenzy of destruction? And what is leading the world, today, to move in the same direction? A gigantic event such a planetary war may escape all rational discourse, however, even such a thing may not be beyond all conjecture. And a good start for a conjecture is to think that all wars are resource wars. A good starting point, yes, but also a subtle one: wars are expensive and, from a rational viewpoint, it makes no sense to go to war in order, say, "to get the oil." Modern wars are never profitable for the countries waging them, no matter who wins and who loses. Note how energy production remained basically static, especially for coal, from the end of the first world war, all the way to the early 1930s. Note the dip corresponding to the financial crisis of 1929. 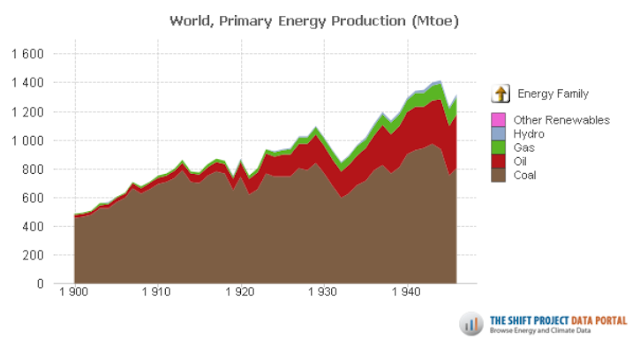 The years up to that date were known as the "crazy years" for a good reason: the world GDP kept growing without being backed up by a corresponding increase in energy production. Eventually, the virtual world had to come to terms with the real one and it did that with the crisis. It may well be that the arms race that started afterward was an attempt by governments to mobilize capital that the financial collapse had made unavailable. We can't say whether rearming in the 1930s was consciously chosen as a policy to stimulate the economy, but it worked in this way. That was the case, for instance, of Germany, that returned to the status of a major power. In practice, war preparations were able to mobilize the production of resources that a market economy was not able to produce. That's the major link between war and resources. Now, in our times we are still reeling from the major financial crisis of 2008, while the collapse of commodity prices of 2014 is the continuation of a critical situation. It is a major problem since we badly need to eliminate fossil fuels from the energy mix, and do it fast, otherwise we'll suffer the disastrous consequences of runaway climate change and, at the same time, of resource depletion. But the market, by itself, is not providing the necessary capital. The current low prices of energy are preventing investments in all sectors and the whole system is stuck where it is: it needs to change, but it can't do it. In this situation, would someone come to the conclusion that a major rearmament program would provide the capital necessary to avoid the decline in the supply of energy and of other mineral commodities? So far, it doesn't seem to be the case: the defense spending in the US is growing, but not showing a robust upward trend. But things could change in the future. A big difference between our time and the 1930s is that, today, mineral resources have become scarce and expensive to extract. So, a major rearmament program could fail to rebuild a country's economy, hastening its collapse instead, as it happened to the Soviet Union in the 1980s. But the major problem with arms races is that they tend to make wars not only possible but even unavoidable. And that's very bad for a planet with several countries equipped with nuclear warheads. So, what are we facing? As usual, the future is dark. In 1935, nobody could have imagined that the ongoing rearmament programs would have led to entire cities being vaporized. In the same way, today we can't imagine what a possible rearmament program could lead us to in a decade from now. But let's not forget that history doesn't really repeat itself, even though it rhymes. A new arms race is a possibility, not a necessity. So far, at least. The title of this video can be translated as "Deconstructing Energy." It was prepared by UNED (Universidad Nacional de Educación a Distancia) in occasion of the international conference on peak oil held in Barbastro in 2014. The video is mostly in Spanish, but it starts with an interview in English with the modest me (Ugo Bardi), where I tell the story of how I become interested in peak oil. Also, there are interviews in English to Gail Tverberg, Michael Hook, and Kjell Aleklett. Plus, if you can understand Spanish, you can hear Antonio Turiel, Luis Gonzales Reyes, and Gonzalo Escribano Francés (the last one, you can safely skip).